Hello, I love my fur babies and will love taking care of yours. I have dogs and a cat, but have grown up around many other pets. I have 4 grown kids and 4 grandchildren. My dogs bring me so much happiness, I know how important yours are to you too. I think you have to have pets to understand how important their lives are to their families. I'm trustworthy & I love making them as happy as they make us. 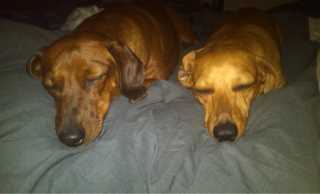 My husband and I have 2 dachshunds, Logan & Sadie. 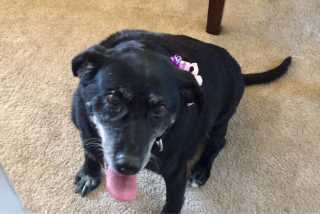 We have a 13 year old Labrador, Lucy. She was supposed to be a foster dog, but we loved her to much to let her go. 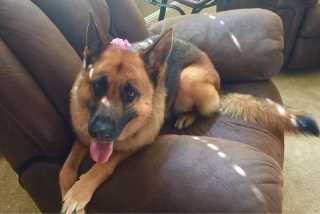 And we have Remy, a 3 year old German Shepherd. Someone sold her through e-bay?? She ended up on a local shelter. Now she is our baby, but the biggest of the bunch - lol. Sweet girl. I have not gone to school to train dogs, but have done a pretty good job with my own. 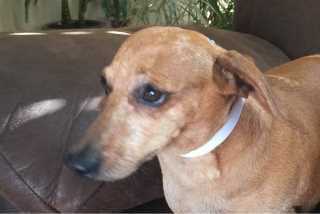 They are house trained, crate trained and Love their walks and get along with out cat Maggie. I think Maggie thinks she is a dog. 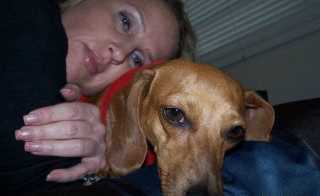 Maggie was also a rescue from a shelter. Since the city doesn't allow more than 4 dogs, I thought dog walking was the next best thing to spending quality time with these lovable animals. A walk doesn’t just have to be a walk. Yet another way that you can break it up is by bringing some toys with you and engaging in some play time. One of the best ways to do this is to walk to a park and bring a flying disc, ball, or tug-of-war toy with you to have some fun with your dog while you’re out. Just remember to have your dog earn the playtime first by walking calmly by your side or right behind you for twenty or thirty minutes first. I love them and they can tell, I also talk to them as if I'm spending time with another family member. I will use a dog’s favorite ball or Frisbee and throw it over, around, and under your dog. This helps your dog improve agility and reflexes, and can be lots of fun that doesn’t tire your pup out too quickly. When else can you walk into work and have all your coworkers literally jumping with pure joy because you’re there? Your worries slip away as you hold your head higher, puff out your chest and high five everyone while they cheer you through the corridor. It’s impossible to sustain any kind of gray, Monday-morning funk after that. Nola's service is located in or nearby Riverside, California. Book via PetBacker for Insurance, Payment protection & 24x7 support. If you have hired Nola before, leave a review now. Contact Nola now with your pets info. If Nola is busy, we can help include similar Backers.